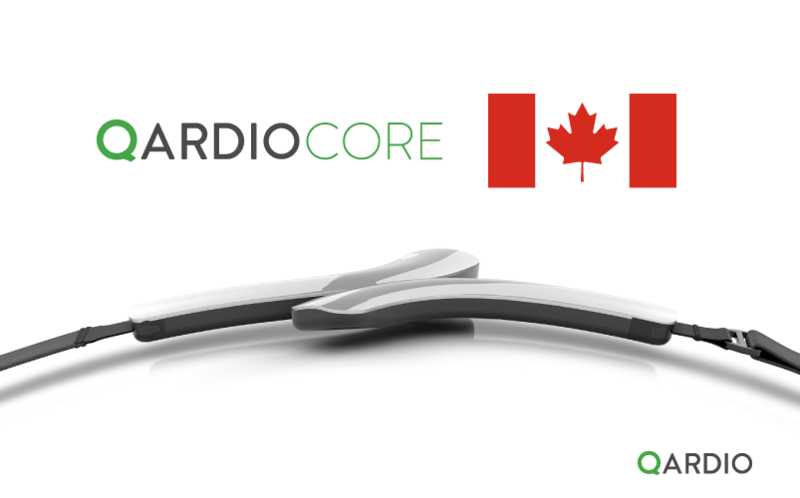 May 4th – Today, Qardio has announced today that is now shipping its revolutionary wireless ECG monitor QardioCore to Canada. The device is the first wearable medical electrocardiogram (ECG/EKG) monitor allowing users to proactively look after their heart health long-term, all without the need for wires or patches. Packed with proprietary sensor technology, QardioCore records more than 20 million data points a day, streaming the user’s live medical-grade health data to their smartphones. QardioCore pairs with the free Qardio App for iOS and works with iPhone, iPad and Apple watch and integrates with Apple Health. QardioCore is worn as a chest strap and seamlessly records continuous ECG, heart rate, heart rate variability, respiratory rate, temperature and activity data. The data can then be easily and automatically shared with medical professionals. QardioCore works alongside Qardio’s other products, including QardioArm, a smart blood pressure monitor, QardioBase 2, a wireless scale and body analyzer and QardioMD, a patient data dashboard for doctors. QardioCore is available for purchase in Canada through www.getqardio.com, Best Buy, and other retailers.